Max Pudney tells the story of New Zealand's two intrepid aviators who flew more than 400 nautical miles over unforgiving seas in two microlights. There is probably no other aviation endeavour so demanding, so influential on the nation's wealth, and yet so seldom appreciated as ag flying. In today's environment, successful operators are those whose skills in business must match their skills in the air, as Rob Neil found when he visited Balclutha-based Willow Air recently. Mike Feeny has been following the development of this significant project at Tauranga Airport and attended the opening function. 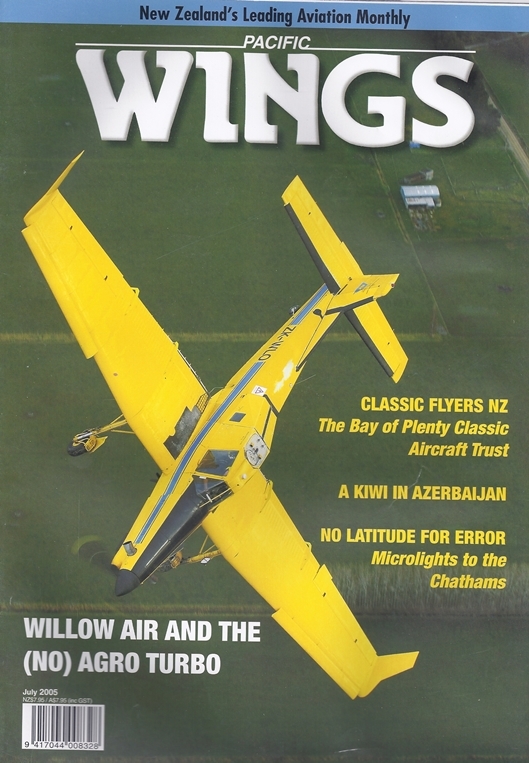 Wanaka pilot Tom McConnell recalls the MiGs and Mils during his time while working for McConnell Dowell (Middle East) as safety manager on a pipeline job in Azerbaijan - a country awash in oil, war, and political turmoil.